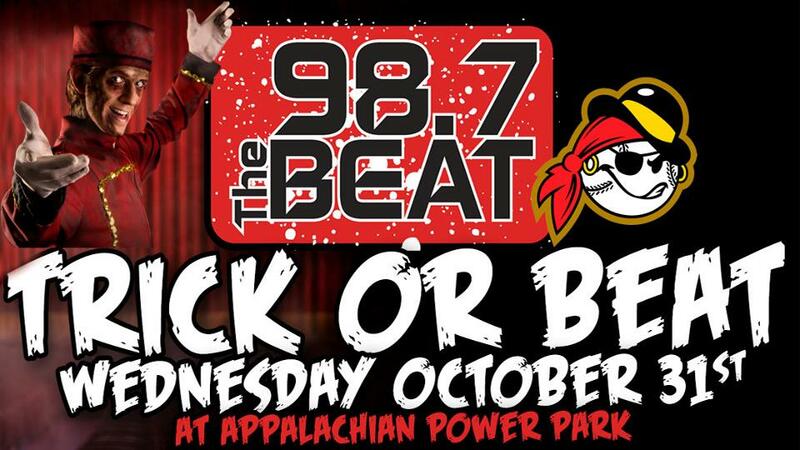 CHARLESTON, WV (October 2, 2018) - The West Virginia Power, in conjunction with 98.7 The Beat and West Virginia Radio Corporation, will host the 13th annual Trick-Or-Beat at Appalachian Power Park on October 31, 2018. This event provides a safe and well-lit environment for Charleston area youth to trick-or-treat on Halloween. "We are happy to be hosting Trick-Or-Beat for the 13th consecutive year," said Power General Manager Tim Mueller. "This event has always created a fun atmosphere for everyone in the Charleston community to come out and enjoy together." There will be two trick-or-treating sessions at the ballpark on October 31. Session one begins at 6:00 P.M. and will last until 7:00 P.M. The second session starts at 7:30 P.M. and will conclude at 8:30 P.M. Children ages 12 and younger are free to walk around the concourse and pick up candy from different illuminated stations. There is no cost of admission, but all children must have a ticket to enter the ballpark. Tickets are limited to 1,250 per session and are available now at the West Virginia Power front office or at West Virginia Radio Corporation, located at 1111 Virginia Street East in Charleston. Adults do not need a ticket and are asked to refrain from taking any candy during the event. New for 2019, all tickets come with a pizza voucher, which can be redeemed after each child finishes trick-or-treating for the evening. Local businesses are encouraged to contact the Power front office or fill out this form if they are interested in making a candy or monetary donation towards the purchase of candy for the night. If businesses are interested in attending the event to pass out candy and set-up table displays, they can also contact the Power to make the necessary arrangements. For more information regarding the 13th annual Trick-Or-Beat or other upcoming events at Appalachian Power Park, please contact the Power front office at (304) 344-BATS or visit www.wvpower.com.